Changing an ECC Guideline (or Not) – A decade after the 2000 guidelines, a large multicenter study by Chan, et al., using AHA data (JAMA 2010;304:2129) and two smaller studies (Crit Care Med 2009;37:1229; Resuscitation 2011;82:1537) provided good evidence that AED use in hospitals has not improved survival from cardiac arrest and appears to have actually decreased survival rates. Those studies engendered criticism of the guidelines in the lay press as having had no evidentiary basis and having been unduly influenced by industry. (“Bad Shock: Automated Devices for Jolting Hearts May Save Fewer Lives in Hospitals.” Fairwarning.org, Nov. 14, 2011; http://bit.ly/1qSEQ1T. )Is it likely that the guideline will be changed in the upcoming AHA/International Liaison Committee on Resuscitation (ILCOR) 2015 Guidelines revision? Signs are not encouraging. The endorsement of AEDs for hospitals has become somewhat more equivocal in the 2010 guidelines, but AED deployment continues to be the only approach offered by AHA/ILCOR to address the problem of delayed in-hospital defibrillation. A 2013 AHA/ILCOR consensus statement on in-hospital resuscitation included an analysis of AED use that reached no conclusion and instead stated that “additional randomized clinical trials are required to evaluate and optimize use of AEDs in the hospital.” (Circulation 2013;127:1538; http://bit.ly/1uEzkp2. )My own experience with this issue dates to the mid-1980s when I brought the issue of delayed in-hospital defibrillation to the attention of several ECC researchers. Their response was to promote the use of AEDs by hospitals, an approach that I came to question. I expressed my doubts privately and in print. (Ann Emerg Med 1996;27:104.) The only response I received was a letter from an AHA official informing me that my views were unwelcome. Most recently, I wrote a critique of the 2013 consensus statement analysis, characterizing it as weak and biased in favor of preserving the status quo. Following guidance I received from the ECC office, I submitted it to the writing group. I received no response. (The critique is now in press. )My experience is consistent with descriptions in the literature of AHA/ILCOR’s responses to evidence and arguments regarding ECC guidelines. (JAMA 2005;293:363; Resuscitation 2005;64:261; Am J Emerg Med 2008;26:618.) Parts of the guidelines may have been introduced because they were marketed well or seemed to make sense at the time, but they may be continued for years despite little supporting evidence. Poorly supported guidelines are continued by making change contingent on quantities and levels of evidence that are difficult if not impossible to achieve in clinical resuscitation research.Changing a guideline with evidence-based arguments may be an agonizingly slow process, but a strong case can be made that the guideline is not only incorrect but illegitimate because its adoption contravened AHA/ILCOR’s stated standards and policies. An AHA official stated in the “Bad Shock” article that the guideline mandating AEDs for hospitals was “very carefully considered and based on the evidence available at the time.” That statement is an expression of AHA/ILCOR’s professed standard, but it is not accurate in this case.The ECC Committee issued in 1999 a lengthy and detailed public invitation to submit “evidence-based worksheets” for consideration in the formulation of the 200 guidelines. 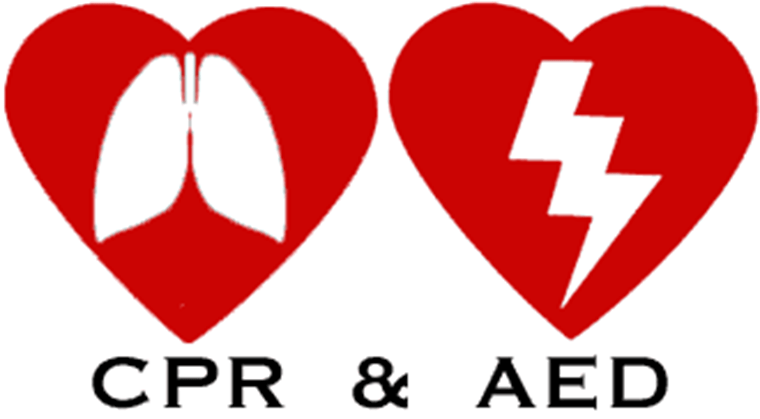 Two coauthors and I submitted two worksheets, one of which addressed the use of AEDs by trained caregivers. (http://bit.ly/11pv2FY.) These worksheets essentially disappeared, with no written acknowledgment of their existence. My phone inquiries about them were met with vague responses.In making the initial decision on the guideline endorsing AEDs in hospitals, AHA/ILCOR’s AED/Public Access Defibrillation Panel did not consider our invited worksheet on AEDs and trained caregivers, nor was it made available for subsequent levels of review. (Ann Emerg Med 2001;37[4 Suppl]:S60.) AHA/ILCOR’s decision to promote the use of AEDs in hospitals was made without consideration of invited evidence that could and should have been considered, and therefore was arguably illegitimate.AHA/ILCOR should explicitly rescind the guideline mandating in-hospital use of AEDs based on the illegitimacy of the original decision and the current good evidence against it. Relying on AED technology alone to fix the problem of delayed in-hospital defibrillation is a dead end that instead of saving lives appears to decrease survival. But dropping the guideline should not mean a return to ignoring the problem. AHA/ILCOR should actively encourage investigators and hospitals to explore other approaches to shortening defibrillation delays, with the goal of increasing survival.